KINGSTON, Ont. -- Prime Minister Justin Trudeau reminded dozens of people at a town hall meeting on Thursday that he favoured a ranked ballot system in the past, even though his government insists it has an open mind about how to change the electoral system. Trudeau, who faced critical questions about issues including the Phoenix pay controversy and the handling of indigenous issues, is at the start of a whirlwind, taxpayer-funded outreach tour. "If a government gets disconnected from the people we have the responsibility of serving, then not only can we not serve them very well, but they notice," he said. 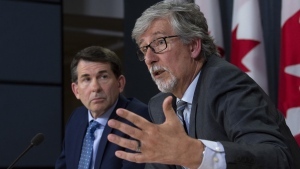 Under questioning from two public servants, Trudeau reiterated that the handling of the government-pay system issue is unacceptable. He was also pressed on issues including the need for a national pharmacare program, his government's recent decision to approve pipelines and transgender rights. 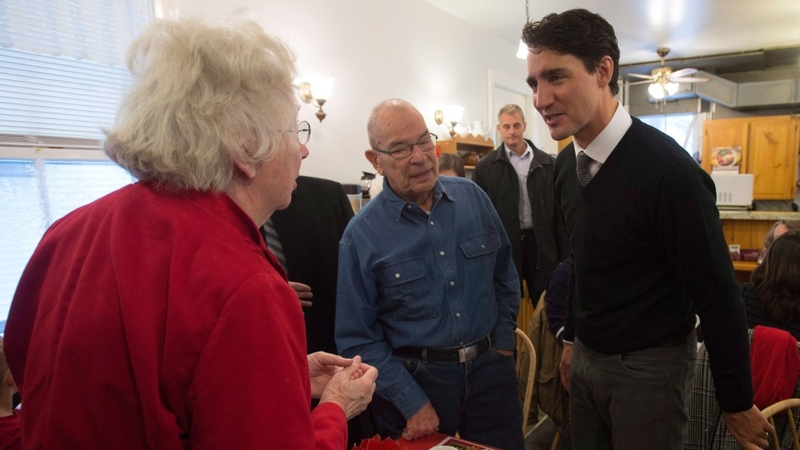 Earlier in the day, Trudeau visited a community restaurant in Ottawa, the Aquatarium in Brockville, Ont., which features fish native to the St. Lawrence River and the surrounding area, and a highway rest stop. It's a schedule reminiscent of an election campaign. Trudeau is to hold another town hall meeting later today in Belleville, Ont. The tour comes as his government attempts to fend off recent controversies including questions around a holiday in the Bahamas with the Aga Khan and cash-for-access fundraisers.